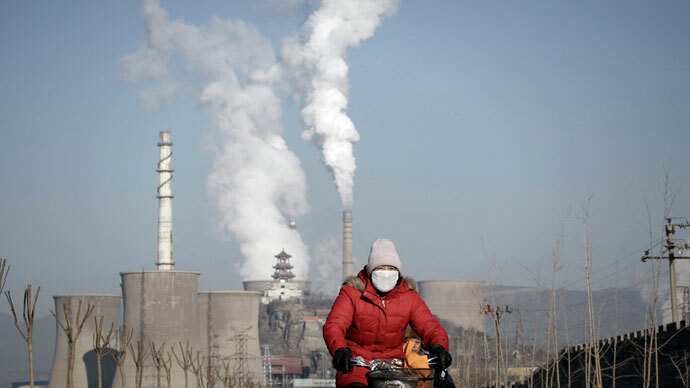 China has introduced “harsher punishments” for breaking the nation’s environmental protection laws: reckless violators of pollution standards in the world’s biggest and fastest-growing economy now face execution. A new judicial interpretation taking effect on Wednesday has tightened Chinese “lax and superficial” enforcement of environmental protection laws, Xinhua reported citing a government statement. The government is set to introduce a “precise criteria for convictions and sentencing” while the “judicial explanation provides a powerful legal weapon.” Law enforcement should take environmental regulations seriously and “all force should be mobilized to uncover law-breaking clues of environmental pollution in a timely way,” the statement reads. Earlier this month the cabinet approved new measures to combat air pollution as social discontent over the air quality in urban centers continues to rise. 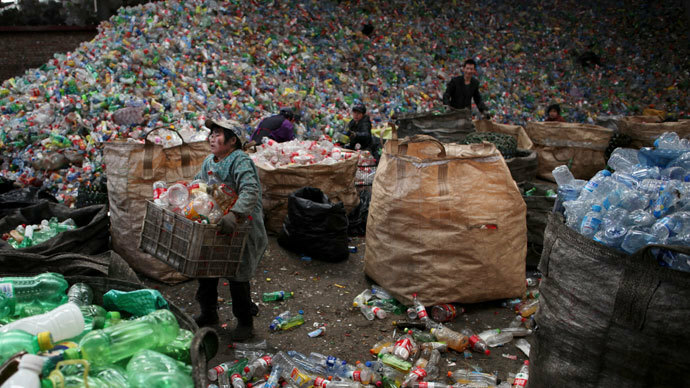 To help tackle the environmental danger, Beijing has promised to focus more on solar energy, despite ongoing trade disputes with the United States and Europe. The State Council approved 10 anti-pollution measures aimed at reducing emissions from the industries which contributed to the country’s economic miracle of the last three decades. Cutting emissions per unit of GDP in key industries by at least 30 percent by the end of 2017 is one of the main objectives alongside curbing the growth of high-energy-consuming industries such as cement, steel, glass and aluminum. Among other key measures on the table is to strengthen enforcement of penalties that firms pay based on their emissions scale. China also promised legal action for those industries that fail to upgrade pollution controls and introduce emissions standards. The battle for the environment became the new leadership’s top agenda when the country underwent its once in a decade power transition. The previous leadership started the effort but enforcement has often been lacking. According to a report published in April 2010 by Global Burden of Disease Study, air pollution in China was a contributing factor to 1.2 million premature deaths in 2010, almost 40 percent of the global total. Researchers equate that figure to 25 million healthy years of life from the population. 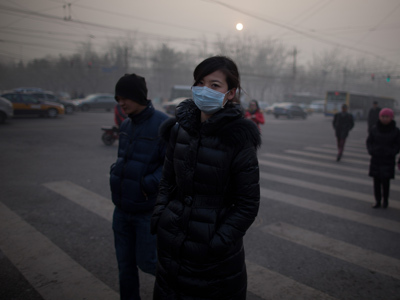 In March, the Organization for Economic Cooperation and Development stated that “urban air pollution is set to become the top environmental cause of mortality worldwide by 2050”, estimating that up to 3.6 million people could die prematurely from air pollution each year, mainly in China and India. The Chinese Academy of Environmental Planning in March said that cost of environmental degradation equated to some 3.5 percent of the 2010 GDP or $230 billion. 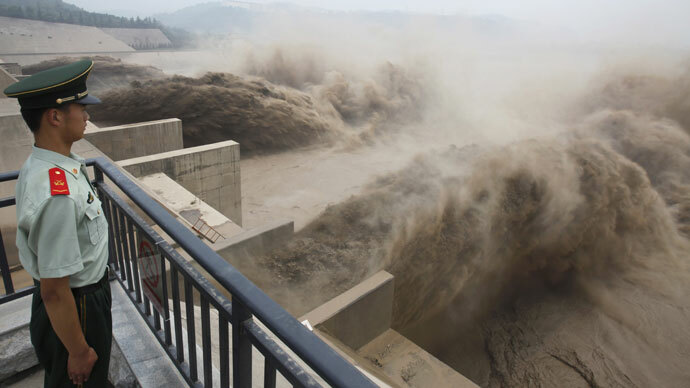 In winter of 2013 Beijing was experiencing the worst environmental data on record. Levels of dangerous particles less than 2.5 micrometres across, known as PM2.5s, were 22 times what the World Health Organization considers safe. In response to the widespread public anger, authorities introduced emergency measures to thin traffic and shut down polluting industries. 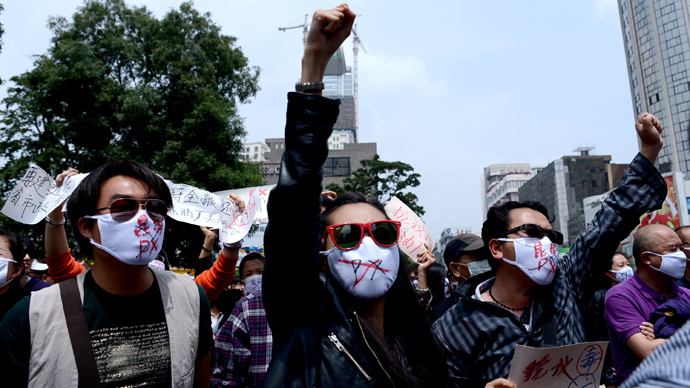 Rallies also erupted in May in the city of Kunming as thousands flooded the streets to protest against the planned production of a chemical at a refinery. Problems related to pollution are also reaching China’s vast countryside, the Ministry of Environmental Protection acknowledged early June.